Summary from Goodreads: Macey McHenry—Glamorous society girl or spy-in-training? W.W. Hale V—Heir to an American dynasty or master thief? There are two sides to every coin. Whether these two can work together is a tossup. Born into privilege, Macey and Hale are experts at mingling with the upper class. But even if they’ve never raised an eyebrow at the glitz, neither teenager has ever felt at home with the glamour. When Macey and Hale meet at a society gala, the party takes a dangerous turn. Suddenly they’re at the center of a hostage situation, and it’s up to them to stop the thugs from becoming hostile. Will Macey’s spy skills and Hale’s con-man ways be enough to outsmart a ruthless gang? Or will they have to seek out the ultimate inside girl to help? The worlds of Heist Society and the Gallagher Girls collide in Ally Carter’s fast-paced, high-stakes and tantalizing new story. Get a behind the scenes glimpse as Ally delivers an irresistible thriller that is full of her signature style and savvy twists. Review: Ally Carter is one of those automatic authors for me…I see a book she releases and I buy it. I was first introduced to her Heist Society series while browsing art at the Met Museum in NYC with Tales of A Ravenous Readr. Since reading Uncommon Criminals I’ve been hooked! When I saw this fun novella that blends both of her series characters into one setting I had to check it out. I’ve never read the Gallagher Girls, but they are at the top of my wish list after sampling Macey’s personality in Double Crossed. I want to get to know Macey McHenry as well as I now know Hale. The aloof, ruffled, handsome Heister I know and love. Macey and Hale are thrown into a high stake situation at a high society gala when the event is hijacked by men in masks. They have the jaws of life and don;t seem to be in much of a hurry to pull off the job–so what are they really after? The banter between Macey and Hale makes me want to see much more interaction between these two series. Both are confident in their abilities and both have an air of “I know best.” We also have some cameos by others from the books and the result is a mash up of awesome proportions. If you haven;t discovered Ally Carter check this one out for free on Netgalley to wet your whistle and then dive right in! Author Bio from her website: I was born and raised in Oklahoma. My mother was a teacher and my father a farmer and rancher. I have one older sister. My first novel for young adults, I’d Tell You I Love You but Then I’d Have to Kill You was published by Disney-Hyperion in April 2006. Love You Kill You (as we call it) was followed by Cross My Heart and Hope to Spy (October 2007), Don’t Judge a Girl By Her Cover (June 2009), Only the Good Spy Young (June 2010), Out of Sight, Out of Time (March 2012). Book six will be the final Gallagher Girls novel. Look for it in stores in 2013. I am also the author of Heist Society (February 2010) and its sequels Uncommon Criminals (June 2011), and Perfect Scoundrels (February 2013). My books have been published in more than twenty countries and have appeared on best-seller lists from the New York Times, USA Today, the Wall Street Journal, Barnes and Noble, IndieBound, and Bookscan. They have sold over two million copies. Ally Carter has once again crafted a fun, quirky twisted tale of a girl raised criminal tuned to rightfully returning stolen items to their original owners. In book two Kat starts out on her own executing risky heists from the ex-KGB in Moscow and planning more jobs solo until Hale catches up to her and makes it very clear he wants “in.” Soon the old crew- Simon, Hamish, Angus, and Gabrielle are together, hired to get back a cursed emerald. But this job may very well be their last. Cleopatra’s Emerald hasn’t been seen for 30 years, it’s forbidden to steal it and after all the crew is “just kids”…up against the biggest con artist they have ever faced. Kat has her work cut out for her as the clock is ticking. Ally’s writing style is the same as book one with meticulous details of each heist and amazing descriptions of character and setting. This is a series you’ll stay up late in the night to finish. Picture Oceans 11 with teens plus just the right dash of romance. The love interests, Hale and Nick…how is one to decide? Chemistry is building between Kat and the two young men who wish to capture her attention when her heart is wrapped up in the thrill of the steal. I haven’t had this much fun with a love triangle in a long time! Hale is ever the perfect gentleman and loyal companion, while Nick seems to pop up unexpectedly to stir things up. Overall, Uncommon Criminals is a squeaky clean read I’d highly recommend to all readers ages 12 and up. Ally Carter is a master mind of deceit and twist of plot. Her clever style will capture you instantly, and if you haven’t picked up book one, Heist Society yet, get thee to your nearest store or library to get started today! We are giving away one copy of Uncommon Criminals to our followers as part of Best I’ve Read 2011. To enter to win click here and fill out the form. Good luck! Be sure to check the BIR home site for today’s additional giveaways! -Hale’s name comes from a name Ally saw at a museum on temple square during a visit to Utah she made with her employer. She wanted a last name that could also be used as a first name. -The fifth book in the Gallagher Girls series is coming out soon with six planned so far. 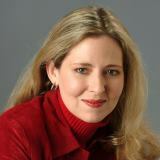 -Ally previously wrote two adult titles, the first being called Cheating at Solitaire. Fire and Ice would like to thank Courtney Lowe from the Provo Library and Disney Hyperion for the cool Uncommon Criminals sunglasses as well as he opportunity to meet Ally personally. Also, Emily from Emily’s Reading Room for organizing all of us bloggers and King’s English for hosting the event. In attendance were book bloggers Heather Zundel, Jennifer K Jovus from My Life With Books, Catie Skola from Book Bound, Mindy and Shanda from LDSWBR, Emily from EmsReadingRoom, Heather from Fire and Ice and the Friendly Reader. We are currently giving away and audio version of Uncommon Criminals which we had signed on Saturday, so check our right sidebar to enter! The love interests, Hale and Nick…how is one to decide? Chemistry is building between Kat and the two young men who wish to capture her attention when her heart is wrapped up in the thrill of the steal. I haven’t had this much fun with a love triangle in a long time! Hale is ever the perfect gentleman and loyal companion, while Nick seems to pop up unexpectedly to stir things up. Overall, Uncommon Criminals is a squeaky clean read I’d highly recommend to all readers ages 12 and up. 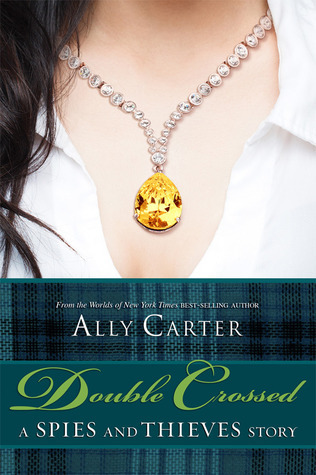 Ally Carter is a master mind of deceit and twist of plot. Her clever style will capture you instantly, and if you haven’t picked up book one, Heist Society yet, get thee to your nearest store or library to get started today! Ally is coming to Utah this Saturday at The King’s English book shoppe from 2-5PM. I will be there to cover the event with my camera…so stay tuned. Fire and Ice is giving away an MP3 Unabridged audiobook of Uncommon Criminals donated by Brilliance audio. To enter to win click here and fill out the form. Good luck!